It’s a bit to early for roasting chestnuts, though I suppose you could go for roasting pumpkin seeds near the fire. 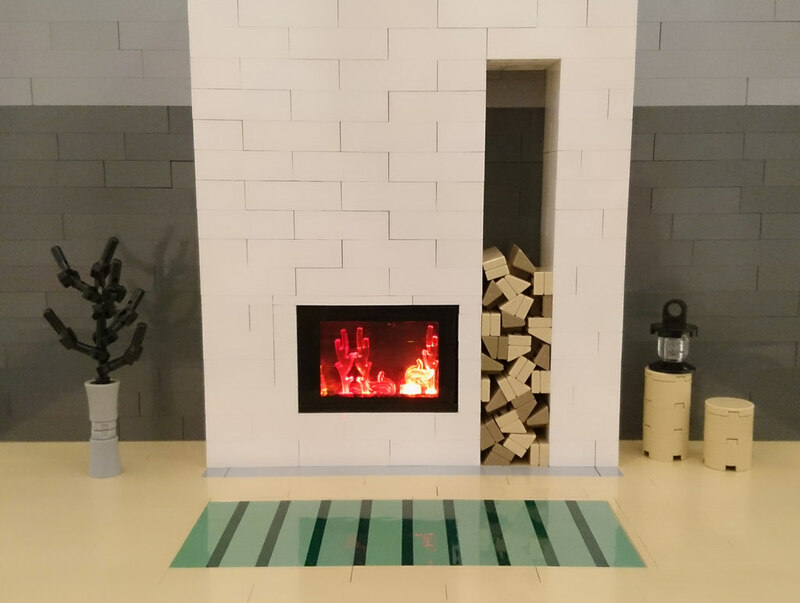 Heikki Mattila has given us this glorious little fireplace, complete with a stand for wood and kindling. The fireplace itself is lit with LEDs, which adds a very nice touch to the presentation. I particularly like the spindly tree off to the left, though I daresay it looks like it should be a bit further away from the heat source.